The Attorney-General of the Federation, Abubakar Malami, and the authorities of the National Drug Law Enforcement Agency on Saturday agreed with the Senate to halt the alleged abduction of the senator representing Ogun East Senatorial District, Buruji Kashamu, to the United States. Kashamu had alleged penultimate week that the anti drug agency was conniving with the authorities of the US government to abduct him from Nigeria, through unlawful means. 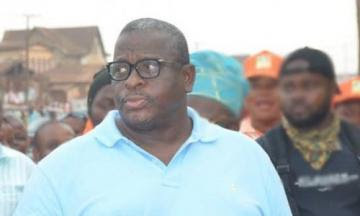 Kashamu’s lawyer, Ajibola Oluyede, had in a petition to the Senate Committee on Ethics, Privileges and Public Petitions, claimed that NDLEA operatives had perfected strategies to forcefully take him to the US in order to answer drug related charges. He had urged both the NDLEA and the office of the Attorney-General to drop the alleged plan and follow the rule of law in prosecuting Kashamu. It specifically directed the two government establishments to stay any further action on Kashamu’s alleged drug charges in America, pending thorough investigation of issues raised in Kashamu’s petition against them. Addressing journalists in Abuja, the chairman, Senate Committee on Ethics, Privileges and Public Petitions, Senator Samuel Anyanwu, said the parties had resolved to halt further action on the matter pending the determination of the suit on the matter at the court. Anyanwu said, “The Senate, AGF, NDLEA have unanimously agreed to stop further harassment, intimidation, abduction and extradition of Kashamu until the conclusion of the matter at the law court.